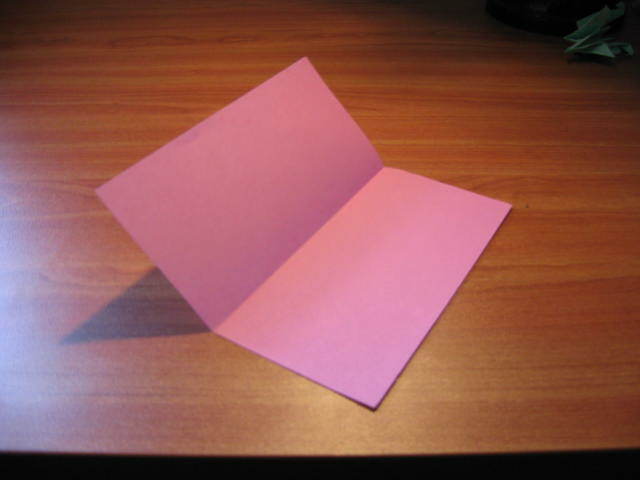 Start with a square piece of an appropriately pink paper, and fold it in the middle. 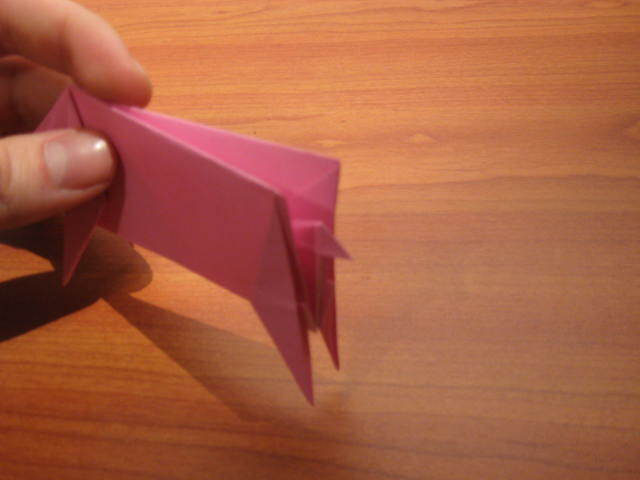 Fold two more folds to divide the paper to vertical quarters. 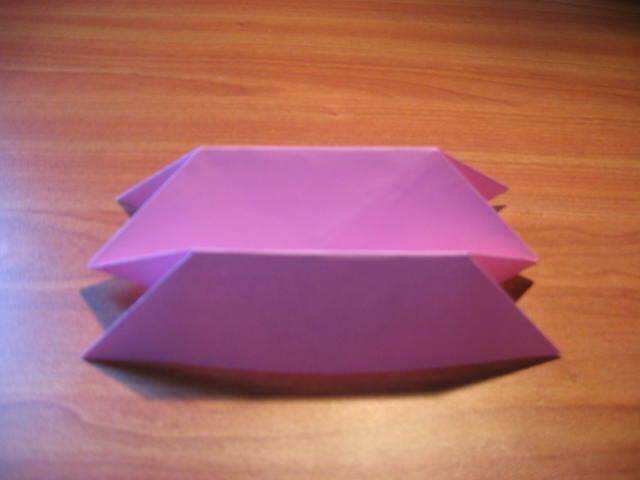 On each side of the two new mountain folds, fold to the inside, creating 90 degrees triangles. Do so for both sides. After you finish, it should look like this (but a little less fuzzy :). 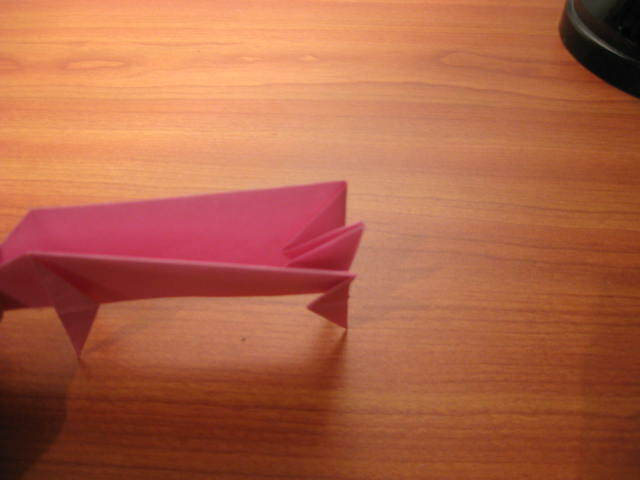 After the last fold, we created four flaps. 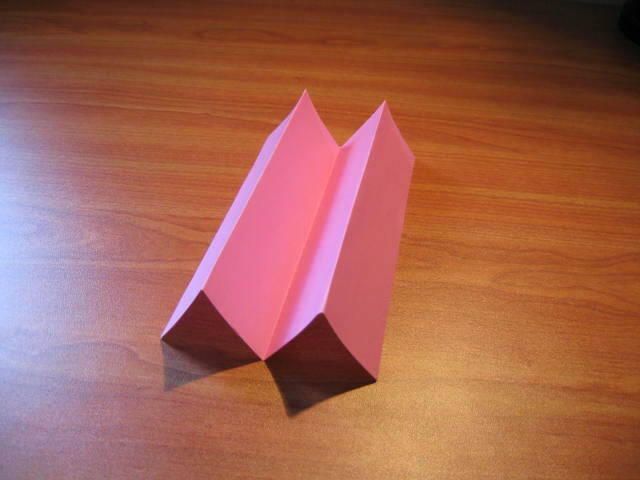 These will be the legs, fold them the other direction, as shown. 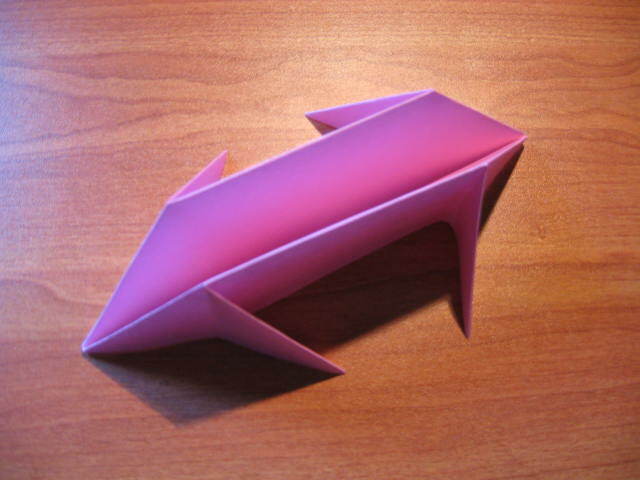 For each of the four future legs – fold up, unfold, and fold down and unfold again. 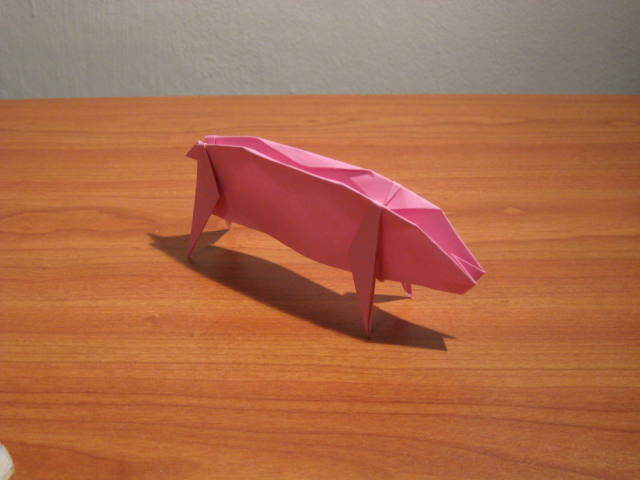 In the picture you can see two legs – one is folded up, and the other down. After the pre-creasing of the previous step, pinch flap to create the lag. 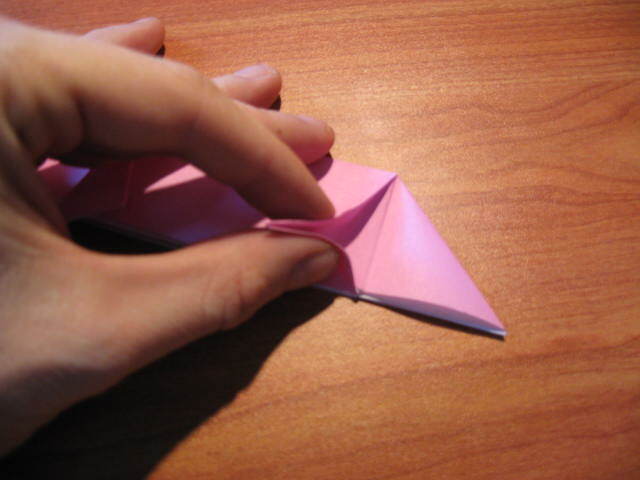 Use the pre-creases to give it shape. 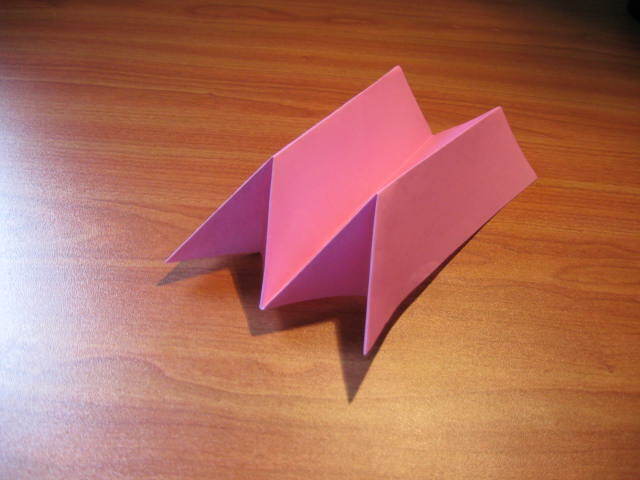 This is very similar to the legs of the origami bug. 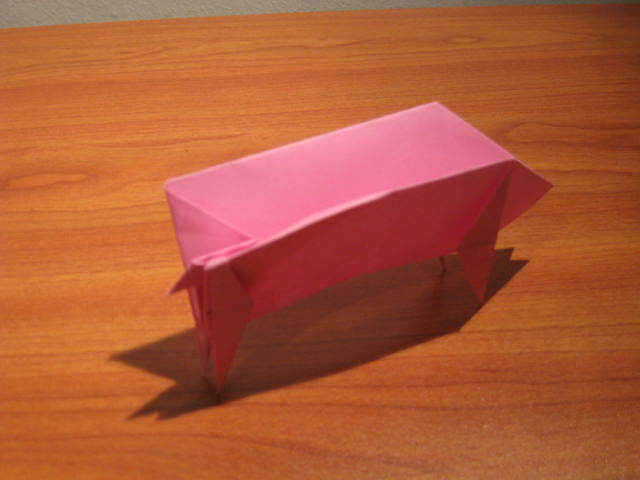 After preparing all four legs, it should look like this. (Again, less fuzzy :). Open up in the middle, and fold inside. 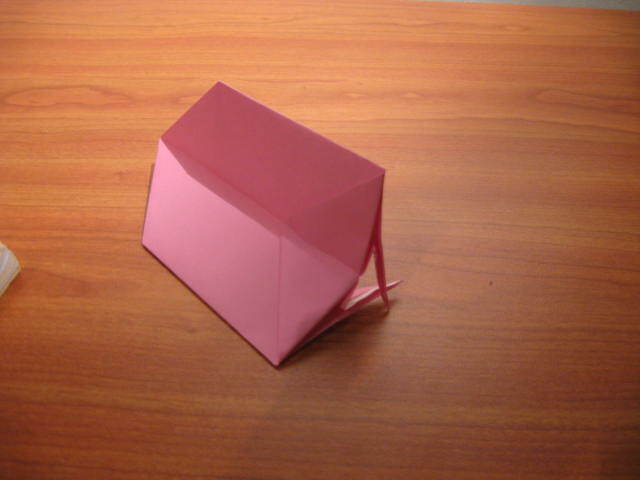 Close, and fold inside the other side to create the shape of the head. 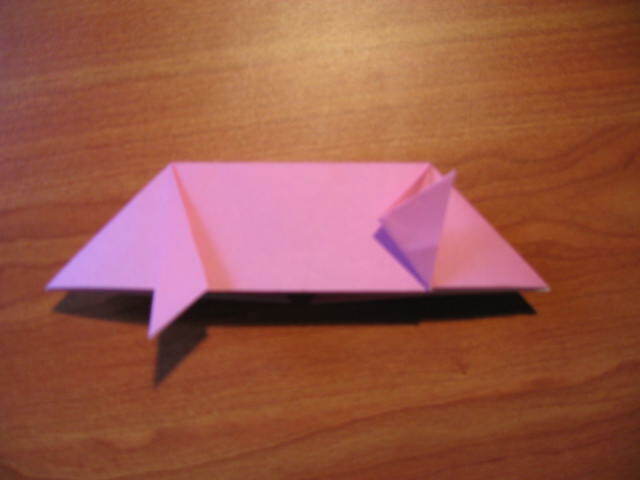 Reverse fold the soon-to-be tail. Reverse fold the tail again, so it ‘sticks’ outside of the body. 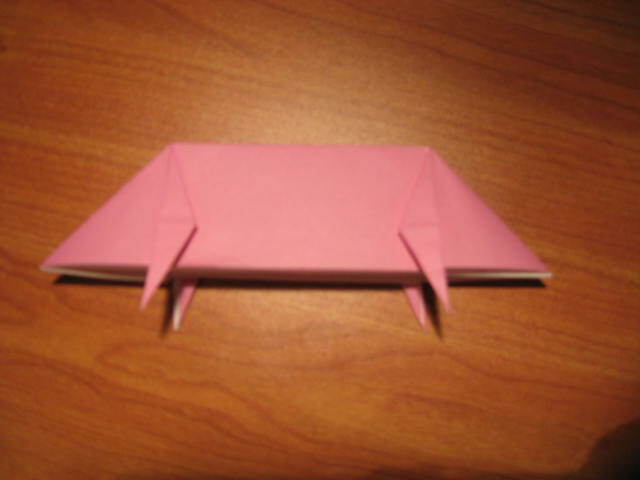 Fold the top edges of the body inside, in stick them inside the space created by the tail fold. 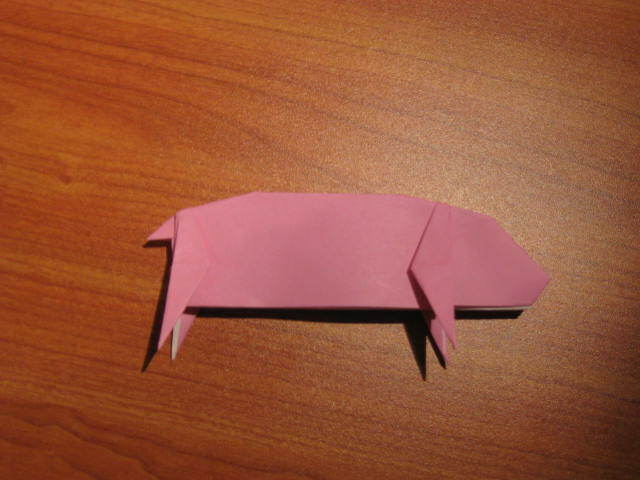 Fold the rest of the upper part of the body to give it shape. 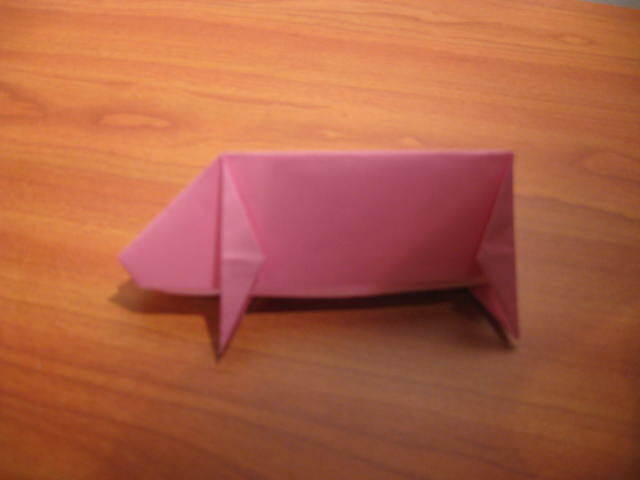 This entry was posted in Origami and tagged Origami, origami instructions, pig. Bookmark the permalink.